I’ve always wanted to visit the country side of Italy mostly because my summer gardening and cooking practices are very similar to their traditions I’ve witnessed by top Italian chefs I connect with online. I love how the best Italian meals are created by using simple veggies, herbs and pastas they have on hand. The recipe I’m sharing today is from the Step By Step Italian Cookbook that I find is my go-to publication when looking for a quick and tasty meal anytime. I think you are going to love the recipe I’m sharing today especially if you take note of the beans it uses and grow some of your own. 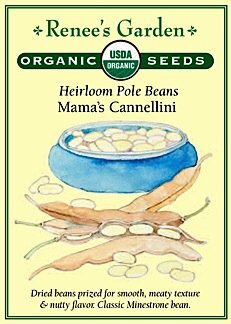 You an start bean seeds NOW in most hardiness zones and let me tell you this dish will be your favorite once you taste it with your own home grown onions, herbs and beans! place the cannellini beans in a large saucepan. Cover with cold water and bring t a boil. Boil rapidly for 15 minutes, then reduce the heat and simmer for an additional 30 minutes or until tender. Drain and set aside. Meanwhile, plunge the green beans into a large pan of boiling water. bring back to a boil and cook for 4 minutes until just tender but still brightly colored. Drain and set aside. Whisk together the dressing ingredients, seasoning with salt and pepper to taste, then let stand. While both types of beans are still slightly warm, turn them into a shallow serving dish. Whisk the dressing again and spoon over the salad. 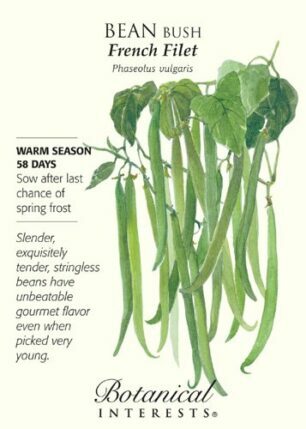 Thankful that was short and sweet post just like the recipe… now I’m heading out to the garden to plant up some red onions, green beans and cannelloni beans. Interested in buying some of your own to plant in your garden just click on the links below! [alert-note]What are you growing that you can’t want to add to a recipe? I’d love to hear from you so please comment below so we can connect ans swap recipes.